“We have a really good group of riders for the race, it’s no secret that we have a strong team and are highly motivated, we have more than one option if we make it to the finale in good positions." Joint team leaders Michael Matthews and Simon Gerrans have both achieved podium spots here in the past and the talent and experience of both riders will be vitally important for the team in Sunday’s 51st edition. Sport director Matt White emphasised the fact that the race had been good to the team in the past. 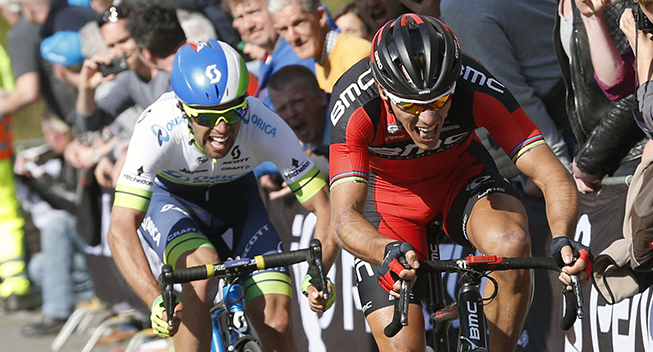 “Amstel Gold has been a good hunting ground for us in recent years,” said White. “It marks the start of an exciting period of racing for the team and hopefully we can continue the upward curve on Sunday. “I’ve been looking at the weather forecast for Sunday,” continued White. “It does not look good, cold and wet conditions throughout the day. If that ends up being the case then it certainly makes the race wide open, this race is highly technical at the best of times. Traditionally marking the transition from the cobbled classics to the Ardennes classics, Amstel Gold Race is well known for the opportunities it provides not just for the fast men but also for the climbers and breakaway specialists alike. First held in 1961, the race is a first category WorldTour race and is the most prestigious one-day event in Dutch bike racing. The route follows 250kilometres through the Dutch countryside starting in Maastricht and finishing in Valkenberg and includes virtually every climb of the Limberg region of Holland. The whole team followed a busy racing schedule of late and head into Amstel Gold Race with plenty of kilometres in their legs. Michael Albasini, Adam Yates andChris Juul Jensen come into the squad after racing in the arduous Pais Vasco while Luke Durbridge has competed strongly in all of the Flanders classics races of the last month. South African Daryl Impey spent a large portion of Wednesday’s Brabantse Pijl in the breakaway and completes the line up for Sunday’s race.